Look for more red ‘ink’ below to understand the “ain’t” in this post’s title. My Spanish students often have difficulty telling the difference between direct and indirect objects. They say things like Quiero conocerle ‘I want to meet him‘ (instead of Quiero conocerlo) or, conversely, Lo di el libro ‘I gave the book to him‘ instead of Le di el libro. I inevitably have to assign students helpful activities like this one to attune their ‘ear’ to this often subtle difference. 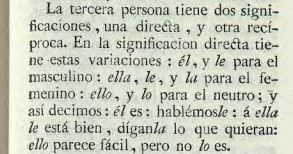 The first mention of lo as a direct object masculine pronoun was in the 4th edition of the RAE grammar, published in 1796. 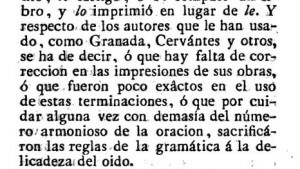 In this edition the grammarians adopted a sarcastic tone, speculating that non-leísta writers must have had a bad copy editor, or been careless, or had “sacrificed the rules of grammar to satisfy the ear”. I have to conclude with a thank-you — from the bottom of this researcher’s heart — to the RAE, and to the various libraries that have cooperated with Google, for making these original sources available on the Internet. 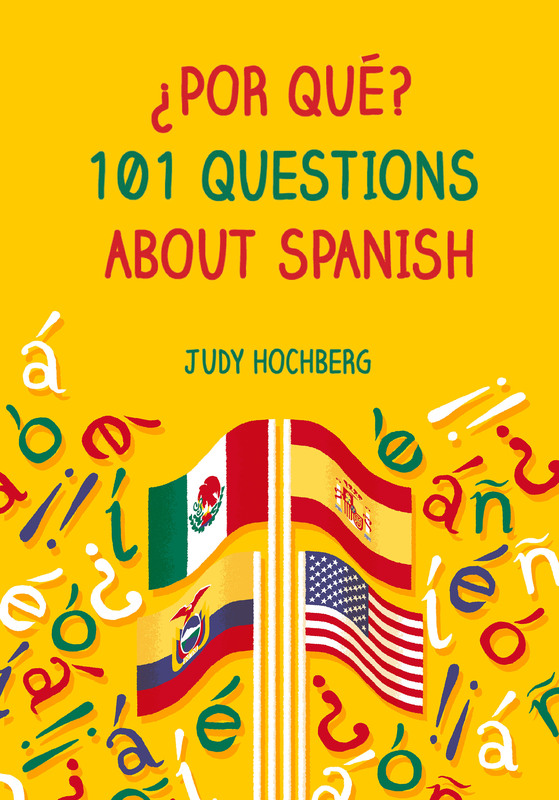 If you enjoyed this post, make sure to vote for spanishlinguist.us in the ongoing Top 100 Language Lovers poll! (through June 14). 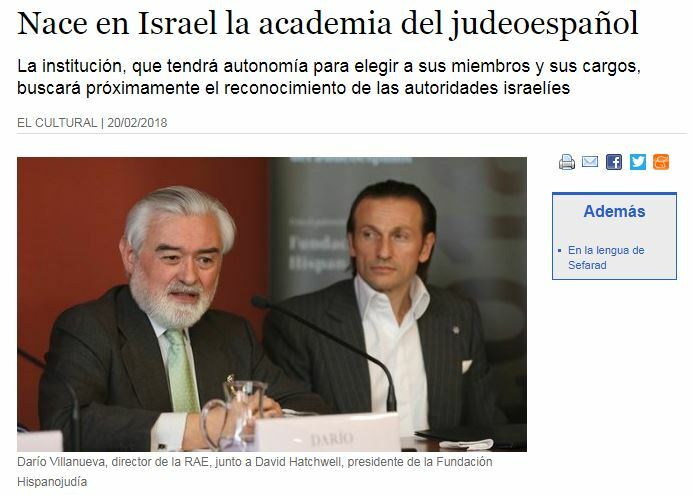 This entry was posted in Nouns and pronouns and tagged Andrés Bello, leísmo, pronouns, Real Academia Española, Spanish, Vicente Salvá on 10 June, 2015 by jhochberg.